Fall may be the season of changing leaves, apples, football and pumpkin spice lattes, but it often means one thing for many employers: open enrollment season. This time of year presents unique challenges for employers and can be a hectic time for HR and benefits professionals. Open enrollment can be a confusing and frustrating period for employees as well. Many employees feel overwhelmed by the process and may want to sidestep benefits conversations altogether. However, ignorance is definitely not bliss, and employees that fail to examine their options could take a hit in their wallets. Since open enrollment concerns everyone in the workforce, employers should be familiar with best practices for handling this stressful time of year. 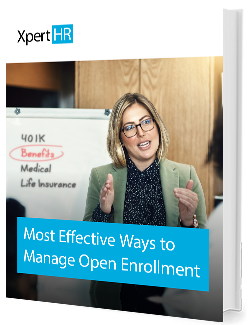 Download this whitepaper to understand how to effectively manage the open enrollment process.